The view from the air-conditioning hole in Ramon Paez-Marte's home. 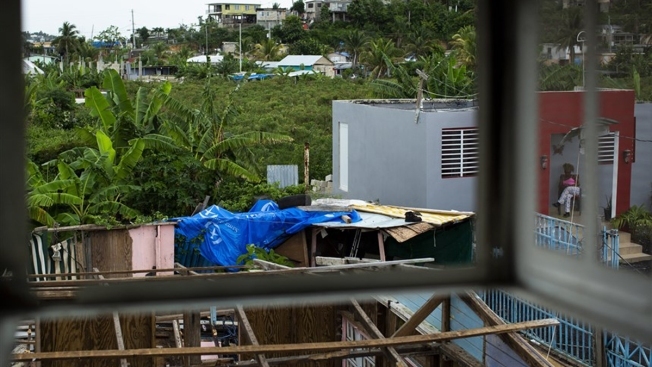 There are still blue tarps on homes in Canóvanas, one of the Puerto Rican cities hardest hit by Hurricane Maria, Ramón A. Paez Marte told NBC News. Rebuilding his home has been a struggle, and getting federal aid for it nearly impossible — FEMA denied his application and tens of thousands more on the island, hit by the devastating storm one year ago. 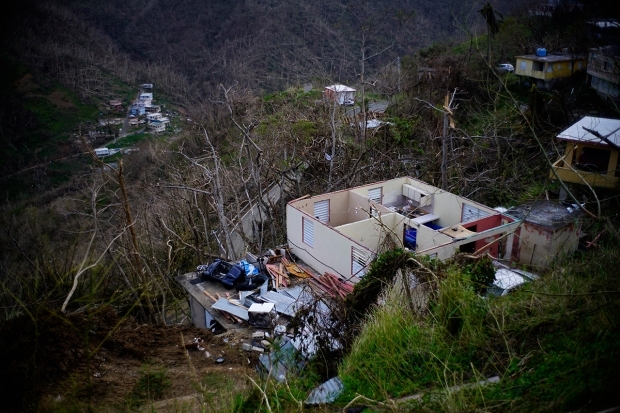 Families across the island are still reeling from the nearly 3,000 deaths, more than 200,000 people who left and the roughly $90 billion in damages. Dogged by questions about local and federal response, Puerto Rico's crippling debt and more, the recovery feels like unfinished business, despite opportunities for much-needed innovation in areas like energy and urban planning.